Although we have quite awhile until the Easter Bunny comes, I couldn't resist this bright, playful lilac purple color when I made my recent raid at the drugstore. The name of this gorgeous color, "Play Date" from Essie's "Go Overboard" collection, perfectly describes its light and sprightly appearance on the nails. Its unique and fun color makes me dream of wearing sundresses and sipping lemonade in the warmer months ahead. Essie is my favorite nail polish brand for a reason. The formula is always so smooth, pigmented and easy to apply. It's no wonder why these are the only drugstore brand nail polishes I ever see on the racks of nail salons. This color is no exception and Essie has once again impressed me. This is actually the shade that I plan on wearing for this Valentine's Day. It's romantic and flirty lilac shade is a nice change from the usual cliche pinks and reds. 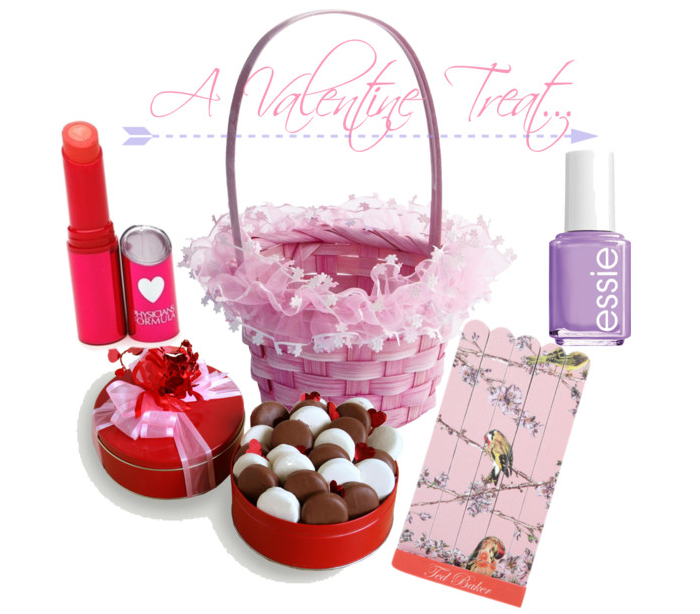 I think it would be so cute to tie bows around the necks of the polishes and put them in mini Valentines Day gift baskets for girlfriends. 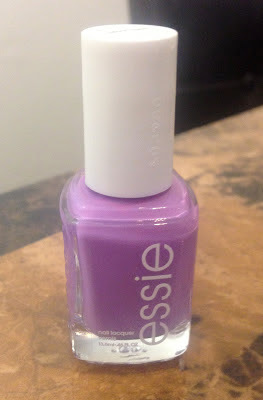 Nail polish: Essie Nail Polish in "Play Date"